Glen Campbell is a country music artist, songwriter and actor. He is best known for his country music song “Rhinestone Cowboy” and his starring role in the 1969 film “True Grit.” He is also known for something else – redemption. Glen Campbell battled substance abuse throughout the majority of his career. His addictions affected his career and his personal life. His choices became the center of many tabloid gossip magazines. However, in the 1980s, Campbell left Los Angeles, successfully overcame his drug habit, and became a born-again Christian! Praise God for his redemption and his abundant grace and mercy! In 2011 Glenn Campbell announced that he had been diagnosed with Alzheimer’s. His announcement struck a personal chord in my life. My grandmother lived with this disease during the last few years of her life. This horrible disease robs the mind of memories. I cannot explain the devastation I felt as I watched my grandmother live with Alzheimer’s. It was as if she left us mentally before her body failed her, if that makes sense. I watched my Grandmother transition from a loving grandparent and pillar of the community and church to a lady who viewed me as a stranger. It was gut-wrenching. She would walk a few houses down the road where my other grandmother lived, but wouldn’t know how to return home. I could step out on my porch and see her standing in my other grandmother’s yard. She bought me toys when I was a child and when I was a teen she was playing with the toys. By the time I was 20 years old, my grandmother’s mental status was like that of a baby. At this point in the disease, she could only eat baby food. When Glen Campbell announced his disease to the world, all these memories of my grandmother came rushing back to me. 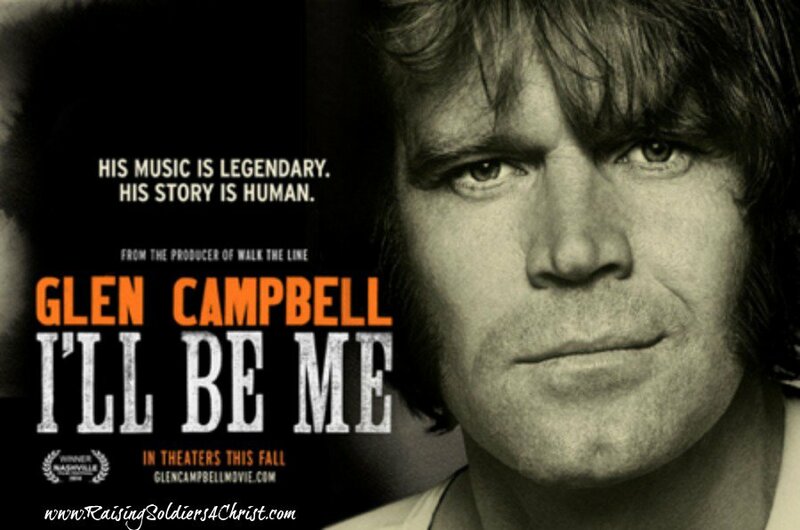 I’ll Be Me – the movie is about Glen Campbell’s life’s work – is an amazing movie guaranteed to inspire and bring tears. The movie begins with Glen watching a video clip of a younger him and shows his oldest daughter and her mother the clip. However, he had no idea who these people were. He also did not recognize himself on the footage to include the clip from the Johnny Carson show. I shed many tears watching this movie. It is a painful reminder of how incredibly sad this disease is. As the movie continues, many musicians and actors make special appearances, including Brad Paisley and Cheryl Crow. All these stars speak about this legend’s life, the legacy and impact of his music, and how he paved the way for the stars of today. The film features those who know and love Glen, including Bruce Springsteen, Bill Clinton, The Edge, Paul McCartney, Jay Leno, Vince Gill, Jimmy Webb, Blake Shelton, Sheryl Crow, Keith Urban, Brad Paisley, Steve Martin, Chad Smith and Taylor Swift among many others. Rare vintage footage and extraordinary new performances of Glen’s most beloved hits immerse this moving cinematic account in the overwhelming talent of this humble family man. With joy and a tireless sense of humor, Glen and his family live each moment in the present while preparing for the future, all while playing their music to sold out venues on a star spangled voyage spanning the country from Carnegie Hall to the Hollywood Bowl. I highly recommend this move for all to watch. If you have a loved one who has suffered from Alzheimer’s, you will want to watch this with tissues. Glen Campbell has left his mark and legacy in the world and it saddens me to think how the rest of his life will be lived. I give the movie a 5/5! You can get Glen’s latest CD at the following link HERE. That is beautiful and heart-wrenching. I better go get some tissues before I watch the clips. Thanks for the giveaway chance! I think I need to wait until it comes out on video … when I was a young teen, Glen Campbell was my first heartthrob. I learned to play the guitar because of him … granted no where close to his seemless talent and flair … but I play nonetheless. Fast forward many years … to 2010 and the reality of Alzheimer’s engulfed our family as my brother succumbed to it … this man built some of the first computers, wrote and taught binary language, and ten years my senior, was my hero in so many ways and in the end, he was absolutely fascinated with an old cordless phone, touting what a great invention it was without having any idea what it was. He was sitting next to my husband, oblivious to his presence one minute and the next he looked right at him and said “Michael, when did you get here? It’s so nice to see you,” and after a moment of small talk … he would look away and be gone. 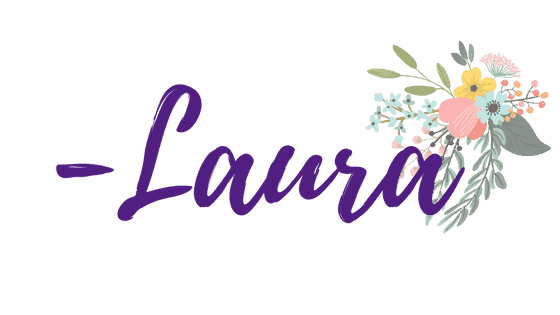 Alzheimer’s first robs its’ victim of memories and the joys of life and then it systematically shuts down their bodies until they die. A double-whammy for me BUT I am rejoicing that both of these flawed, brilliant men were the recipients of the gift that makes all of this irrelevant, knowing that as they breathed their last breath on earth, they were in the presence of their Savior, living out what … I Can Only Imagine!